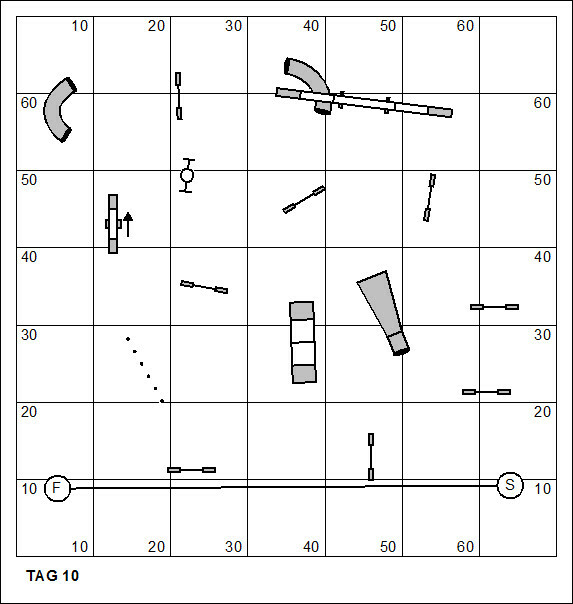 The study of dog agility course design coming out of Europe can be useful. Most innovation in terms of challenge is spawned on that continent. 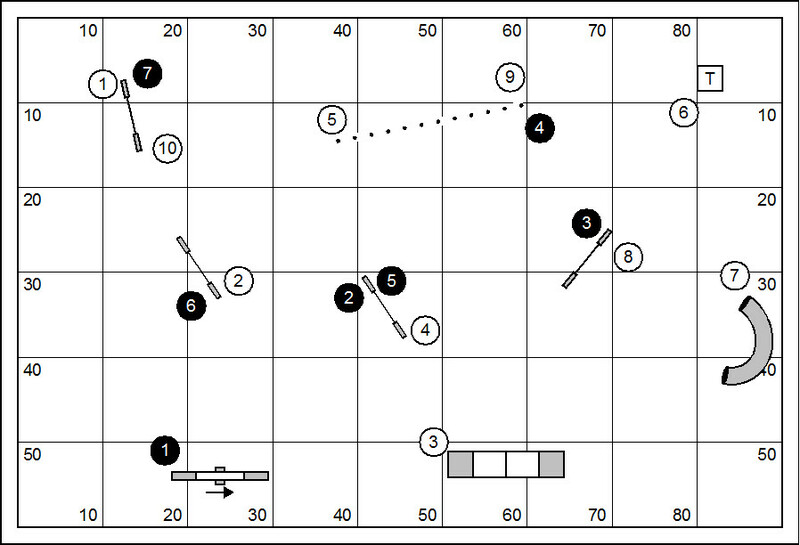 Following is a standard course by Timo Teileri of Finland played on December 12, 2014. I’d like to do a walk-through with you. 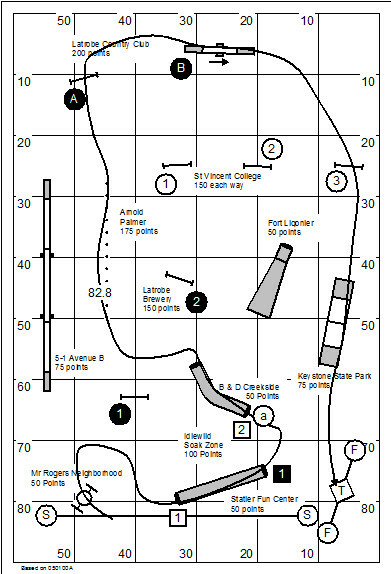 Note that no obstacle is repeated on this course, a European convention that demonstrates a fundamental difference from American course design. It is important mainly at jumps, providing distinction of performance faults. If a bar on a jump is dropped by a dog, the course design won’t allow the dog a free pass over the jump without a new opportunity to drop the bar. 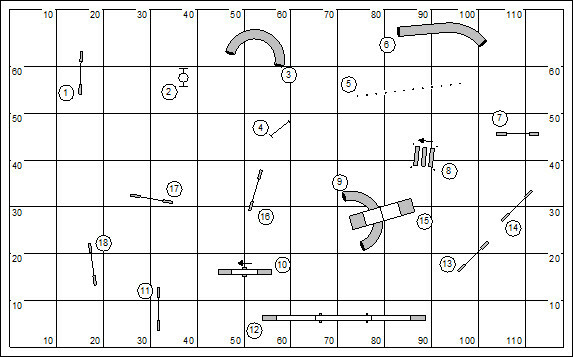 In the opening four obstacles the handler must be calculating a strategy that will allow dog-on-right into the weave poles because of the counter-side approach to the pipe tunnel at #6. The transition from the tire to the #3 pipe tunnel offers a real risk that the dog might veer into the wrong side of the tunnel. 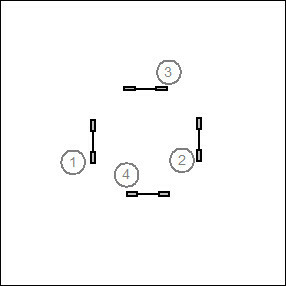 And then, after jump #4 the handler will want to draw the dog tightly into the turn so that the dog’s path doesn’t go wide and perpendicular to the entry to the poles. 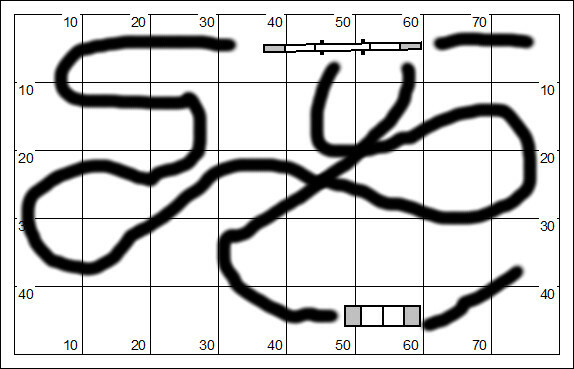 And then, like I said, the handler really wants dog-on-right through the poles to draw the dog back for the pipe tunnel. 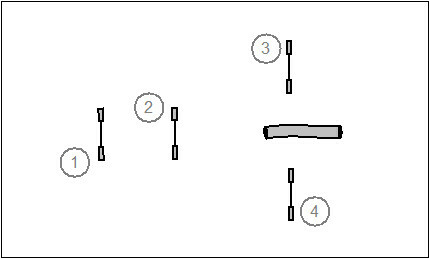 Note that the dog will be exiting the weave poles to the right, and so the handler must execute the hard-aback turn without sticking the dog back into the weave poles. 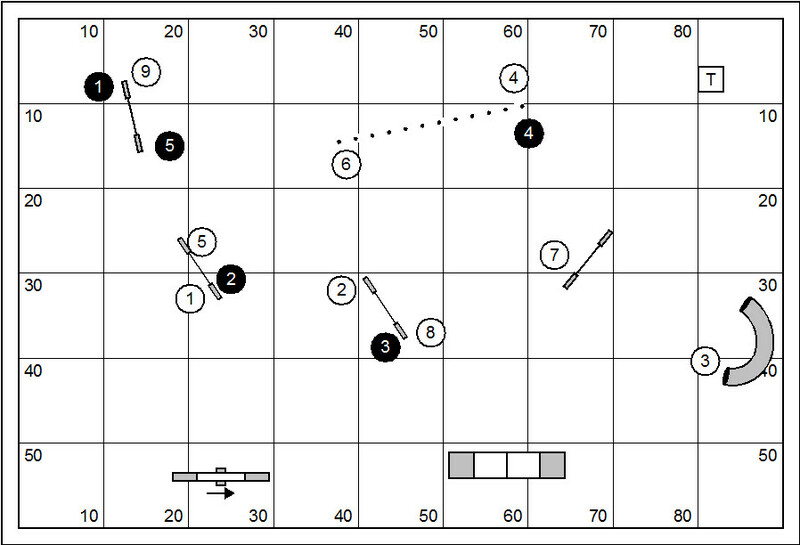 After jump #7 the dog enters a “cluster” with two or three wrong course options open to the dog. 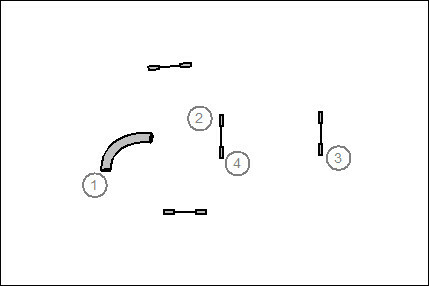 The handler needs to tighten the turn to line up nice and square for the long jump. After the long jump the dog has a blind approach to the #9 pipe tunnel. But surely the handler’s mind is on what follows. 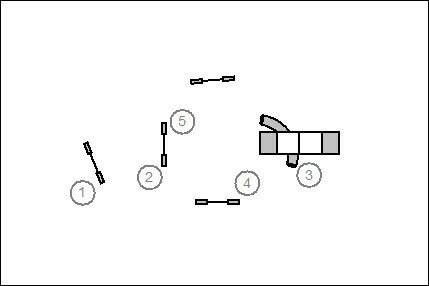 A back-side performance of jump #11 follows the teeter. The handler may have in mind to change sides to the dog while on the teeter. It’s either that, or the handler will have to do the back-side presentation while on the side away from the turn. 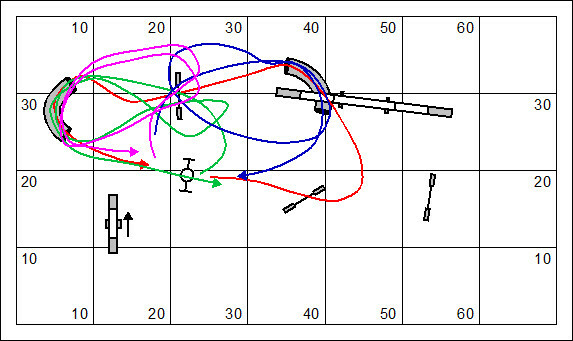 Note too that the back-side jump is in a pocket framed by two wrong course jumps. The handler will have to draw the dog around neatly for the presentation without losing him to a course more logical than the one the judge actually numbered. An interesting threadle is featured from the dismount of dogwalk to jump #13. This may be problematic for a dog with running contacts. 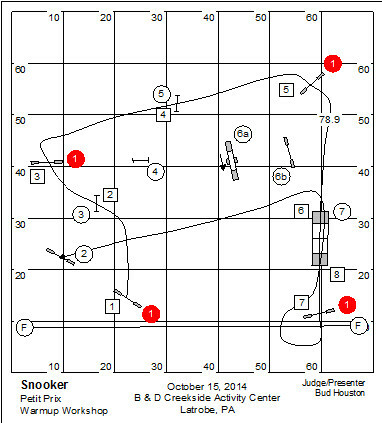 The dog enters the “cluster” again after jump #14 with at least two wrong-course choices before getting his nose around to the A‑frame. 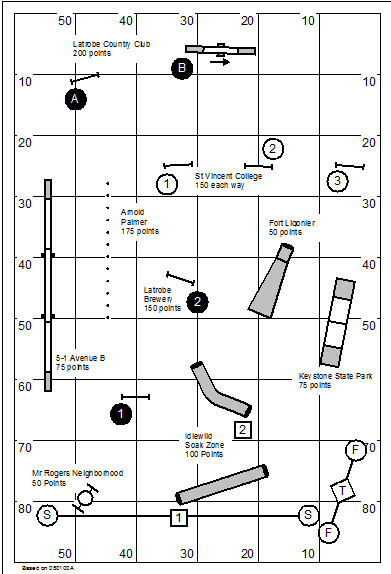 The handling choice after jump #14 will be dictated by the side the handler wants the dog on for the A-frame performance. 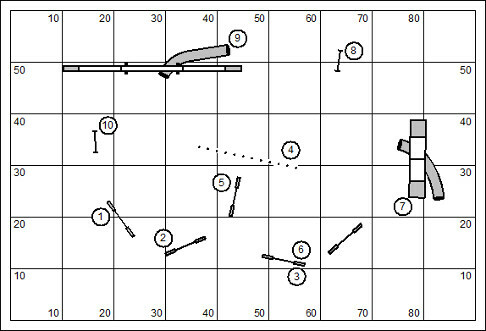 With dog-on-right the handler will have to get ahead to bend the dog away to jump #16. 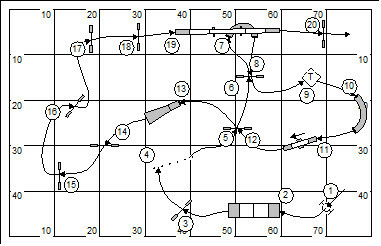 With dog-on-left the handler will have to show a nifty Tandem-on-the-flat in the transition from jump #16 to #17. 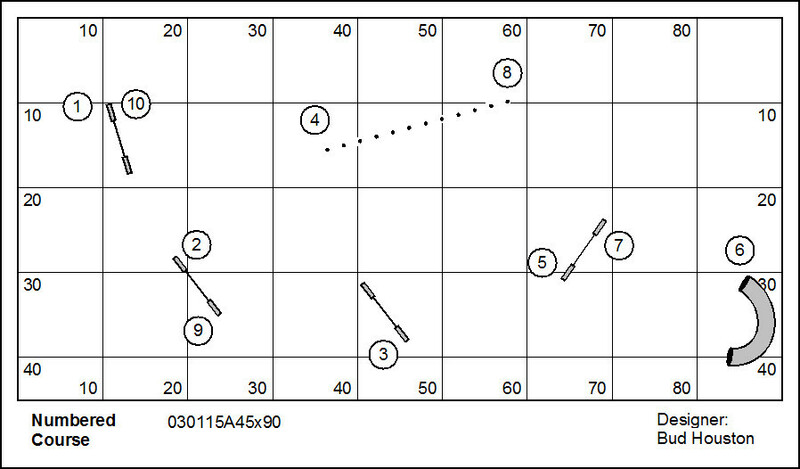 Note that if the dog approaches jump #17 with a too acute path, he’s subject to a refusal at jump #18, running past on the right. 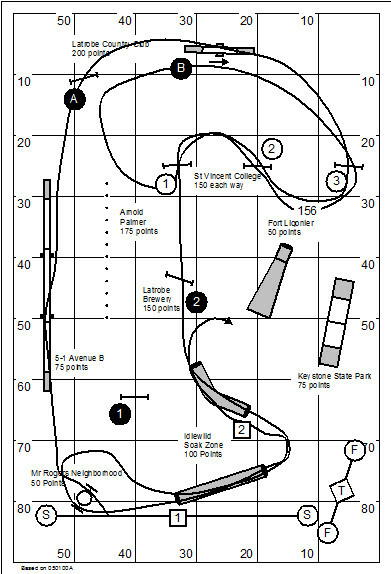 It looks like a fun course. The tough stuff is kind of in-your-face. But these obvious bits are framed by subtle challenges that might be overlooked or miscalculated. 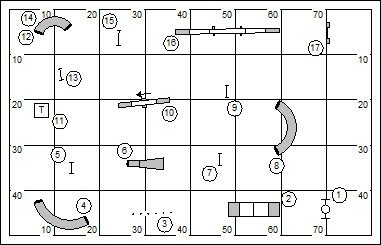 I don’t know about you, but I’m not capable of looking at a course map without visualizing what I might do to solve the riddle posed by the judge. 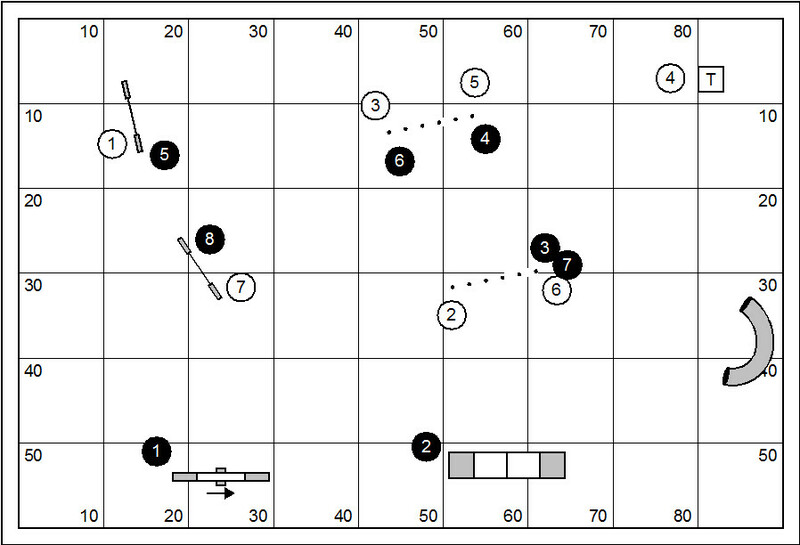 What strikes me about the Timo Teileri course is that control positions are corner opposite positions. 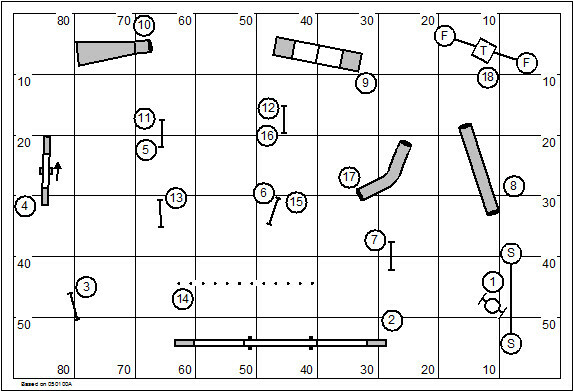 For example, the transition from the weave poles into the pipe tunnel has the dog and handler at one corner of the ring, with the back-side jump approach to #11 is in the opposite corner of the ring. Speaking as an arthritis inflicted handler (which is to say, not a particularly impressive runner) I find this considerably challenging. But it’s not undoable and so, in my opinion, not completely bloody-minded. I will have to rely on my dog’s independent performance and distance directional skills. My boy Kory is a terrific distance working dog. That proclamation should go along with an important disclaimer. Distance handling looks magical and amazing when it works. 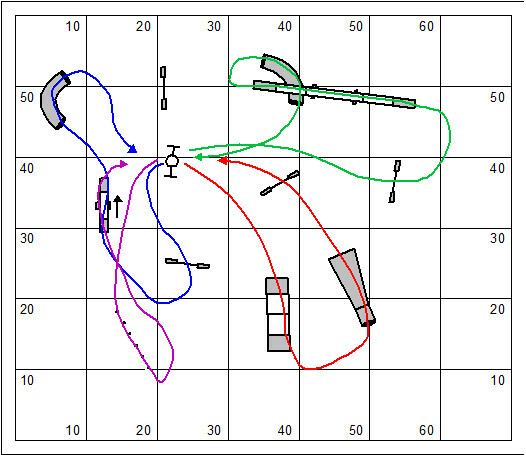 In today’s very technical dog agility game, distance work is like throwing cards into a hat on a windy day. It’s a tough way to make a living. That being said, sometimes the Europeans do design with this one-time only per obstacle purity. Sometimes they aren’t so pure. You are currently browsing the archives for the Course and Sequence Design category.